Vegobox » Upptäck De Bästa Veganska Produkterna. From chips and chocolate to candy and bars, every month you get a box full packed with new exclusive tasty vegan snacks (many which are completely new on the market) sent straight to you. 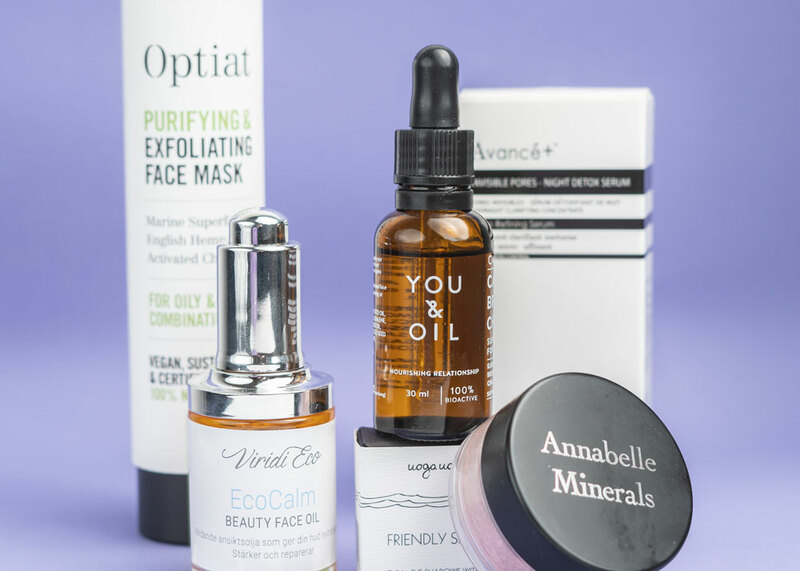 Every month receive a box with 4-5 new cruelty-free and vegan beauty products from unique brands to test, with everything from cosmetics to luxury skincare. Get a box packed full of new unique and exclusive vegan snack or beauty products sent straight to your door anywhere in Europe - every month! From chips and chocolate to candy and bars, every month you get a box full packed with new exclusive tasty vegan snacks sent straight to your door. Om du har en fråga, support eller behöver hjälp får du gärna höra av dig till oss, eller kolla in vår FAQ. Du kan när som helst mejla till oss. Vi svarar inom 48 timmar. Håll dig uppdaterad och häng med oss på Instagram och Facebook. Läs om de senaste vego nyheterna och hitta massor med goda veganska recept på vår blogg här.